Sorry haven't been near a computer. But wow has a lot of stuff happened on Stardoll. They have officially passed the 90 Million Members mark, thats so crazy. It would be cool to get rid of all the useless accounts though. Like if people don't log into that account for over 6 months it should be deleted or maybe give people a year. 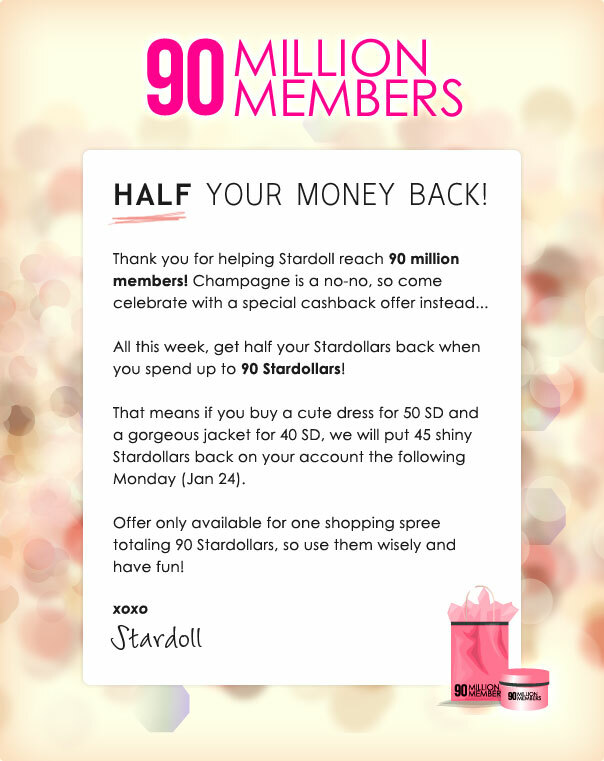 No free stuff this time around, but you do get 50% of your stardollars back if you spend 90sd! YAY 90 MILLION MEMBERS! This website is FANTASTIC.